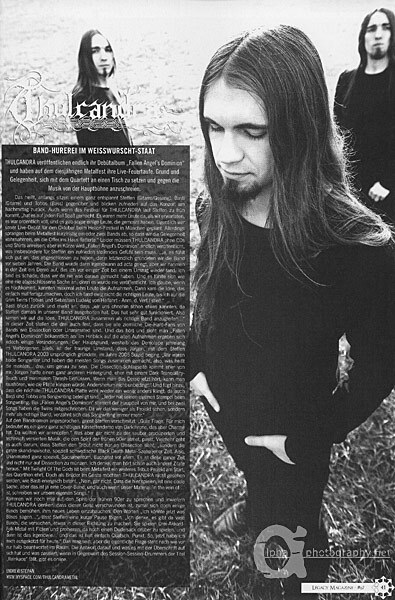 One of my promotional pictures made for THULCANDRA ‘s new album “Fallen Angel’s Dominion” has been published in German metal magazine Legacy, issue nr. 67/2010, together with an article about the band’s latest activities. This entry was posted on August 1, 2010 by alphaphotography. It was filed under promo and was tagged with black metal, death metal, legacy, thulcandra.